Johan Agebjörn first came into our radar as one half of Swedish neo-disco act Sally Shapiro, but 2011, the producer is focusing back on his solo work, as he's preparing to release a pair of solo albums. On February 8, he will release an ambient album entitled The Mountain Lake via Lotuspike. The majority of the collection is brand new, but there are also a few reworkings of already-released tracks. There are remixes as well, as alternate versions of the Sally Shapiro tracks "Spacer Woman From Mars" and "Swimming Through the Blue Lagoon" appear on the release, and Glass Candy make an appearance on the record. According to a press release, The Mountain Lake "takes influences from ambient, '80s disco, Detroit electro, science fiction movies, Buddhism and the Swedish landscape." You can see the 13-song tracklist below and keep scrolling down to check out the tune "Zero Gravitation." That's the cover above. 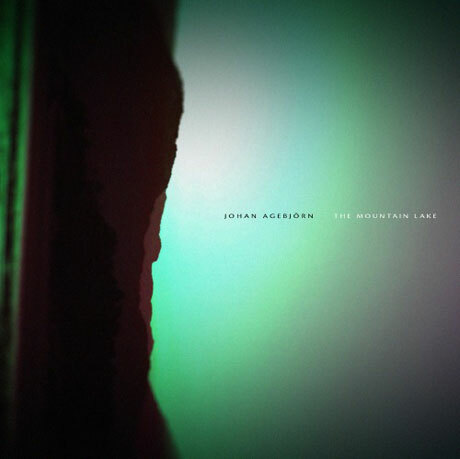 In May, Agebjörn will release another LP, which he describes as a "pop disco album." The details of that album are still forthcoming, but it will come out via Paper Bag. 4. "The Stones Are Blasted"
7. "Swimming Through the Blue Lagoon (Original Casio MT-52 Instrumental)"
11. "Last Tram to Comet Square"
13. "Siberian Train (Steve Moore Remix)"